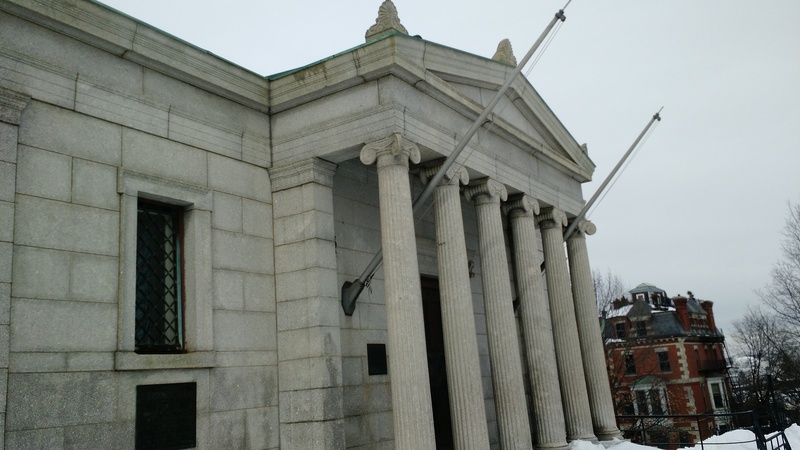 After the USS Constitution I headed off on a walk of the neighborhood, passing by Winthrop Square. 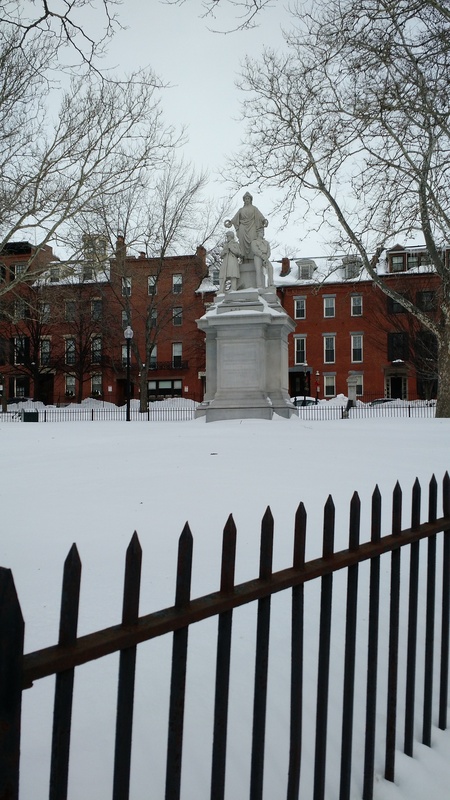 As with the rest of Boston, it was very snowy, and I didn’t pass many people walking on the street…and minus one or two large groups, I think I was one of the only tourists brave enough (stupid enough) to walking around Boston that day. 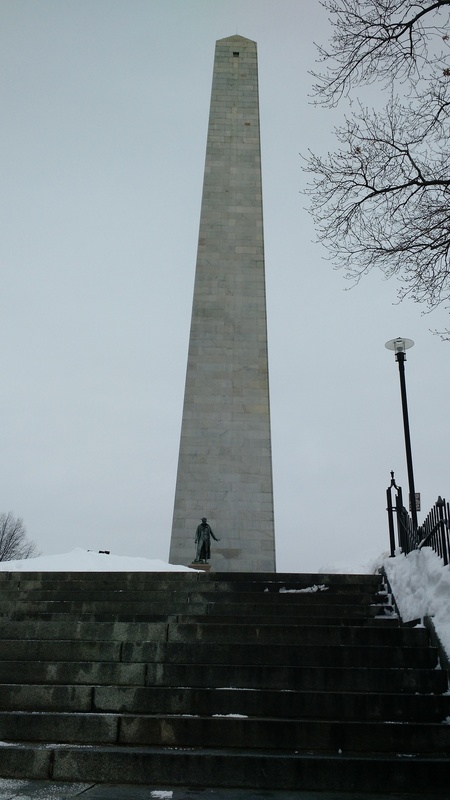 The only other place I saw people was one couple at Bunker Hill, my next stop on my tour, who was equally disappointed that it was closed inside due to snow/ice. Saturday night me and my gracious hosts headed out to a racist bowling alley to play Candlestick Pin Bowling. I call the alley “racist” due to the songs being played over the PA system, which did nothing to avoid the “N word” mixed in with the “F”s. Candlestick Pin Bowling uses tall/thin pins, and a small, cannonball-esque, ball. You get three balls per frame, and bowl two-frames in a row at a time. Strikes and Spares are extremely rare in this game (third ball clearance results in a regular “10”), and as such there were even Jackpots over $9000 if you got 3 of them in a game (in certain frames). 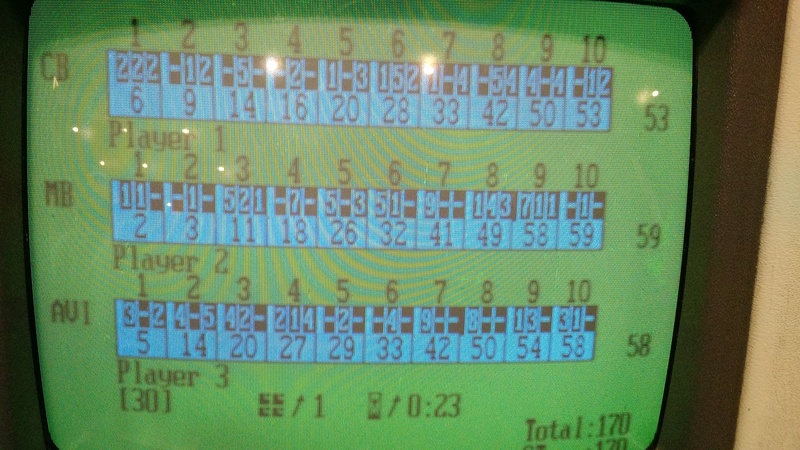 My high for the night was a 59, which, looking around at other bowlers, seemed to be the norm. The trip back Sunday morning took 3 1/2 hours, due to an early leaving time, and not hitting traffic until Queens! Let me just address Parking in Boston, and the surrounding suburbs, and how no one in NYC should complain anymore. For starters, if you don’t live in that ‘burb, you can’t park on the streets…no exceptions. Either you have a pass, or you can go park somewhere else. 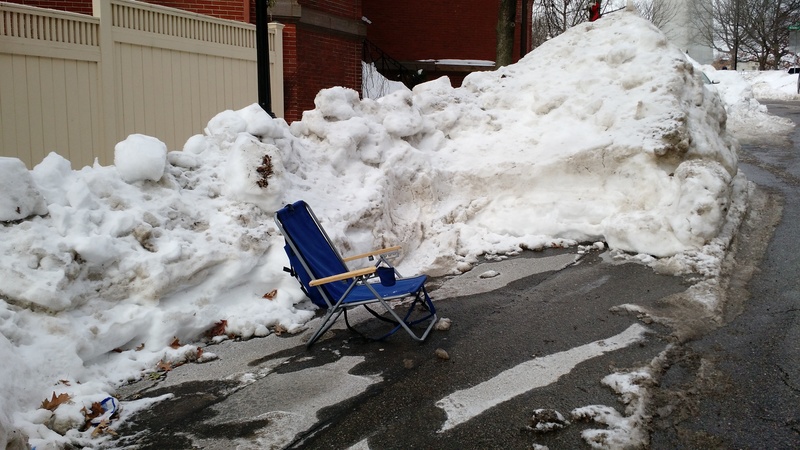 If you shovel out your spot in Boston, especially after a 3′ snow storm, that spot belongs to you for all eternity. When you pull out, you place a folding chair, or child’s toy, in the space, and no one else takes your spot. Because it’s yours and you worked for it. “Alternate side parking” and “parking signs” in New York may be called ‘difficult to read’, but at least you don’t need a calendar. In Boston the rules are generally something like “No parking on 1st and 3rd Wednesday of the month”. People have been complaining recently about “Alternate side suspended and meters in effect”. In Boston, Alternate side only exists in the summer months, meaning meters are in effect whether it’s snowing or not. All the pictures from this trip can be found on my Facebook here, even if you don’t have an account!